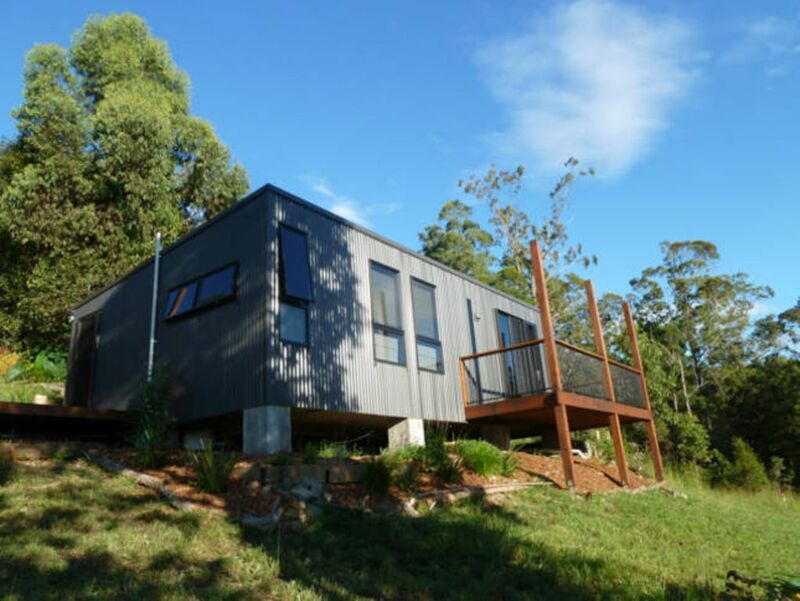 Beautiful 1 bedroom holiday rental in the Mid-North Coast hinterland. My Country Cocoon is designed to be your relaxing de-stressing getaway. Close to Lorne state forest and Bago national park. Yet only 10 minutes from the highway and 20 minutes to the beaches at Laurieton. Perfect for those who want a little bit of everything. Have a bike? Explore the Lorne State Forest all the way to Comboyne or to Bago Bluff Nature Reserve. Have a kayak? Launch at Kendall boatslip and explore the Camden Haven River all the way to the ocean. Be as active as you want or relax and enjoy the views. Sit by the natural pond full of native grasses and lilies or if up for it take a wonder around and explore some of our property's forest. Let nature surround you and let your worries melt away. Gay friendly and pet friendly (no more than 2 dogs, up to 10 kg weight and must be on leash when outside the cabin). The cabin and surrounding property are strictly non-smoking. We're in a great location close to the highway yet surrounded by nature, birds, wildlife. Great views, beautiful building, inspiring environment. Unpack, relax, let your worries fall away. The space is very modern and is ideal for 1-2 people for a week or more. The living room has a comfortable pull out sofa bed making the cabin perfect for 4 for the weekend. skillet for eggs, roasts etc. To get you started we supply tea, freshly ground coffee, long life milk, salt, pepper, olive oil. Perfect for those late night arrivals. A large BBQ is adjacent in the private garden, perfect for entertaining. Enjoy breakfast on the covered deck looking down the green green valley. The bedroom is airy and spacious with a queen bed and a wardrobe. We supply linen and towels. The bathroom will seriously impress! Pamper yourself in the oversized shower. We supply toiletries. As much as possible the building has been made with a light environmental touch. The building is made of steel due to the close proximity to the forest. It is well insulated from summer heat and winter cold. Recycled timber is used on the living room floor and on the deck frame. Windows are tinted to reduce heat gain and to improve privacy. The bathroom shower is tiled with rescued and reused tiles arranged in an imaginative pattern. As much as possible the furniture is all pre-loved. Electricity is sourced from renewable energy supplies; hot water is delivered by a well-insulated and timed electric heater and all globes are low energy LED or fluro. We had the most relaxing time staying here for Christmas. Our two small dogs absolutely loved the grassy areas and we loved the escape from the city, but still close enough to drive to Port Macquarie to see family. Great place, great hospitality - thank you. Thanks Lana for the lovely review. Really glad you enjoyed the cabin. Hope to see you all again in the future. We can only agree with the other reviews of this property. It was absolutely the best place to relax and recharge the batteries for a long hard year ahead. The hosts were wonderful, even arranging for food supplies when the road to town was cut by flood water. The cabin was fresh, modern, clean and very well cared for. Outside the cabin were beautiful gardens and plenty of native wildlife. We are recommending this place to all of our friends. What a fantastic place to spend Christmas. We had a 4 night stay over Christmas. From the minute we arrived we felt relaxed and at home. The cottage is kept in pristine presentation and condition, very neat, very stylish and decorated with taste. The hosts were fantastic, very accommodating and polite. Waking up in the morning to Wallabies and Roo's hopping around the property, the sun shining and birds chirping was so nice each day. I would recommend this place to anyone wishing to get away for a few days or weeks. So nice just to relax, close to beaches and towns, nice spot to explore. The Chic cocoon is perfect in all aspects. We found the accommodation itself just gorgeous with everything we needed at our fingertips. It feels like a country retreat and was the perfect getaway from the city. Luxurious bathroom and main bedroom with a large veranda wrapping around the property was where we sat back and took in the natural surroundings. To the side of the property is a lovely grassed area with a BBQ which we utilised each day. The location was close enough to the highway so our journey was not disturbed even though we felt a million miles away. Brendon the host, is outstanding. We stayed at the cocoon for 3 nights with our 4 year old daughter and he was very welcoming. Nothing was too much trouble. He provided us with a suitable list of endless activities including national parks and beach destinations. Although the real treats were the home grown lemons, home made chilli chutney and jams. Thanks Brendon! We can't wait to return. I was seeking a very peaceful, quiet and comfortable cabin to recharge, and this place exceeded my expectations. After the stay I felt refreshed, relaxed - ready to go at it again! The hosts were helpful and pleasant without being obtrusive. The cabin was immaculate and furnished beautifully with everything required for self-catering, including WiFi. The gardens were full of colour. The surrounding forest was beautiful, echoing with birdsong and ground-scurrying creatures. I awoke to brilliant orange-pink sunrises, then drank coffee on the overhanging deck gazing across a misty valley of tall white-barked gums and countless other trees. There are plenty of activities in the area, including the nearby beach. My visit served it's purpose - to unplug and just give myself over to an environment free from man-made sounds. This is now my go-to place for a rejuvenating getaway. My chic cocoon is cosy and pet friendly accommodation in the beautiful location of a state forest. The hosts are lovely and very accommodating. We will definitely return.